The first school in the Brookdale area, in the Municipality of North Cypress-Langford, was established in September 1883. Brookdale School No. 168 operated for 22 years in a building on the southwest corner of 24-12-16 west of the Principal Meridian. In 1904, the original school building was sold, and Brookdale School District No. 1299 was established in the village of Brookdale. 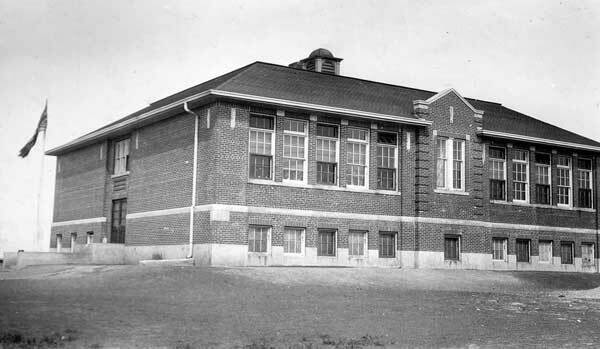 A two-storey, four-classroom building was erected, using brick from the Sidney Brick Yard, based on a design by Brandon architect W. A. Elliott. It became Brookdale Consolidated School in May 1915 when it joined the school consolidation movement by combining with Harburn School No. 1313 and Craig School No. 1458. Four years later, Belton School No. 370 and Freeland School No. 711 joined the consolidated district. Renovated around 1919, the building was destroyed in a fire that started in its basement on Christmas Day, 1923. Classes resumed early in the new year, in a local church and Odd Fellows Hall. The one-storey brick replacement building, designed by Winnipeg architect Gilbert Parfitt and built at a cost of $25,000, opened for operation in November 1924. 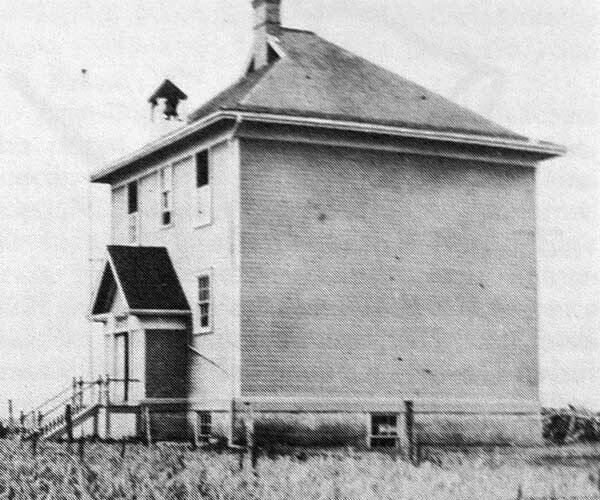 (Nearly identical school buildings were built at Deloraine, Ninette and Shoal Lake.) Rows of spruce trees were planted around the school grounds at the same time. The first classes in grade 12 were held at Brookdale in 1932-1933. A new building for senior students was built nearby in 1961 and named Unity Collegiate. The last grade 12 class graduated in 1968, after which students in grades 11 and 12 were bused to Neepawa or Carberry. The building became an elementary school after the earlier building closed in September 1971. The building was destroyed by fire sometime between 1971 and 1980. 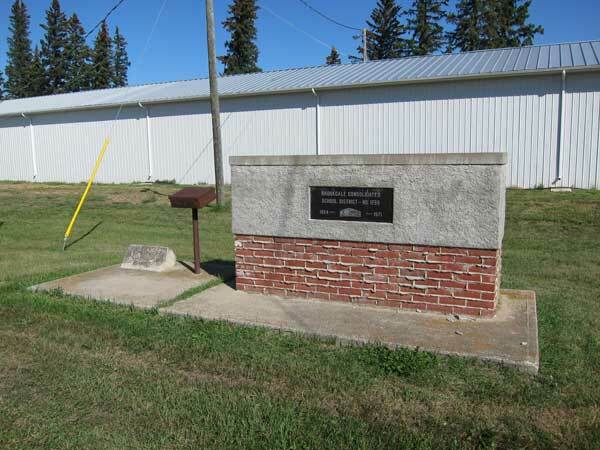 A monument was erected near the former school site, along with its cornerstone. Among the teachers who taught at the Brookdale School were Miss Nelson (1894), Mr. Lamont (1894), M. Stephens (1897), Miss Hodson (1900), Miss Effie Hamilton (1901-1902), Miss Baldwin (1902-1903), Miss McGillan (1904), Mr. Millen (1904-1910), Miss Murray (1915), Millie Ducklow (circa 1919), Miss G. F. Huntley (1921), Miss E. V. Walker (1921), Marge Renwick, Mrs. Grant (1924), Mrs. Hills (1924), William Ingram (1924), Miss V. Bjarnason (1924), Mr. H. McFayden (1924), Mrs. Boyd (1924), Mrs. Strang (1924), Miss Merrille Brigden (1927), Marie Evans (1932-1933), Mrs. Agnes Strang (1957-1969), Mrs. Jean McDonald (1969-1983), Mr. Ewart Hudson, Mr. Blair, Jessie Mills, Lonnie McDonald, Ron Stacey, Mr. Rogan, Miss Batho, Miss Cathcart, Mr. Neeble, Miss Weir, Miss Lang, Mr. Elliott, Mr. Balderson, Miss Moffatt, Mr. Fouchon, Miss Hedley, Miss Pulieu, Mr. Davidchuk, Miss Armstrong, Mr. Walker, Mrs. MacDonald, Mr. Costley, Miss Ramsey, Mrs. Ames, Mr. Spidel, Gordon Victor Reynolds (c1951), Mr. and Mrs. Morgan, Miss Humeston, Miss Jones, Miss Chisholm, Mr. Book, Miss Ferguson, Miss McKay, Miss Lockheed, Miss Ishenberg, Mr. Deihl, Miss Robson, Miss Lamont, Miss Martin, Miss Brigdon, Mr. Harper, Miss White, Mr. Redcliff, Mr. Doughty, Miss Douglas, Miss Simpson, Miss McDonald, Miss Thompson, Miss Brown, Miss Patmore, Don Clark (1985-1986), Ellen Walker (1985-1986), Ruth Slezak (1985-1986), Gerry Oliver (1985-1986), Fran Fraser (1985-1986), and Lisa Reynolds (1985-1986). GR8461, A0233, C131-2, page 94. “Brookdale School Building Destroyed”, Manitoba Free Press, 26 December 1923, page 1. “Sealed Tenders”, Manitoba Free Press, 3 March 1924, page 18. “Constructional Activity”, Contract Record and Engineering Review, 12 March 1924, page 48. The Carberry Plains: 50 Years of Progress, Carberry, 1959. “50 Years Ago Today”, Winnipeg Free Press, 21 November 1974, page 20. Quest in Roots: Welcome to the History Area by Brookdale Historical Society, Brandon: Leech Printing, 1987. Manitoba Legislative Library, F5648.B81 Que. We thank Tricia Tennant and Nathan Kramer for providing additional information used here.